It has been said that young adults in our world today face challenges and issues that have not existed or been acknowledged in previous generations. Now, more than ever, there are many different therapy options for young adults that can be considered. A common misconception amongst young adults about peers that seek help from therapy is that there is something wrong them. Most young adults will dislike or disapprove the idea of therapy because of the way they may be viewed. 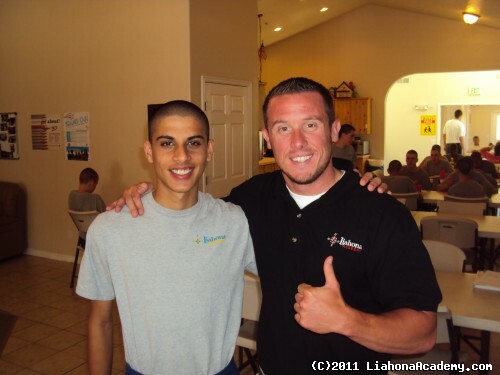 Liahona Academy is a residential treatment center that provides excellent therapy for young adults and helps them in achieving their goals. Receiving help from our skilled counselors and therapists could make the difference between the devastating development of hazardous habits and living a happy, healthy, free life. For more information regarding therapy for young adults, call Liahona Academy at 1-800-675-8101. Attending therapy can help young adults understand their problems and feelings and help them to develop skills to deal and cope with stressful or difficult situations. A therapist or counselor helps individuals to develop a confidential outlet to release their stresses and struggles to. Many counselors and therapists understand the amount of courage it can take to seek help from therapy. It can take a while to establish a relationship to feel comfortable enough to share personal details about ones life. But the best therapists are the ones who feel that this development can and probably will take time. If your young adult struggles with any of the following issues, therapy can be extremely helpful and relieving. As a residential treatment center, Liahona Academy specializes in assisting troubled young adults that struggle with deep personal issues. Unlike boarding schools, our focus is helping young adults establish a therapeutic, positive growth into adulthood. We help them to identify the main underlying issue that is the root cause of their discomforts and struggles. Because of personal experiences coping with and helping others with these issues, our staff has created a wide variety of programs to help teens struggling with behavioral issues, emotional issues, academic issues, mental health issues, substance use and abuse, and family or adoption issues. We have helped thousands of troubled young adults seek answers and treatment options for their personal struggles and change their lives forever. Liahona Academy is willing and ready to serve you and your troubled young adult. Call us today at 1-800-675-8101 and speak with our admissions office about therapy for young adults.